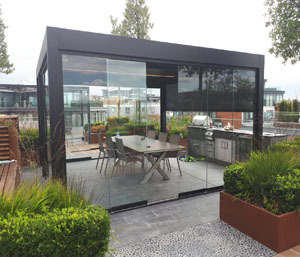 This months featured Installation is a roof top Camargue canopy with sliding glass, retractable screen, LED lights and heaters installed on a roof top terrace in Chelsea Creek. This all weather system is 4.5m x 4.5m. For more information on this installation please head to our case studies.